staging - Diabetic vs Person With Diabetes: What's the big deal? Diabetic vs. Person With Diabetes: What's the Deal? When I was diagnosed with diabetes in 1997, I distinctly remember my mother's tears and sobs. The doctor came into our ER cubicle and pronounced me a “diabetic.” It wasn't the term “diabetic” that sent my mother into a frenzy; it was the fact that she now had to take extreme, additional care of one of her four children (all under the age of 7), in a capacity she knew nothing about. But armed with the right tools & information, we took on this "diabetic" thing. The term “diabetic” gradually made its way into my everyday vocabulary. I actually wore the term proudly, almost boasting about my diabetic-ness, totally owning it. It was kind of... cool. Kind of... empowering. I'm diabetic - I own this thing. What are you owning? Am I a diabetic, or a person with diabetes? It wasn't until I started working at One Drop in 2016 (almost 20 years later) that I realized, for the first time in all of my years with diabetes, that the term “diabetic” was frowned upon. Seriously. Seriously (for those that dislike the term), that this was the first time I'd ever considered it a negative. Seriously (for those that, like myself, didn't realize it had a negative connotation), that it is, indeed, a vernacular that, by many, is not merely disowned, but also shunned. Not only is it a heated topic, it's a great debate: diabetic vs. person with diabetes. Which do we use to describe how we live? You may be like me, not giving a mere millisecond of a thought to the word “diabetic.” Or, you may be like others who have made a concerted effort to revise the diabetes lexicon. 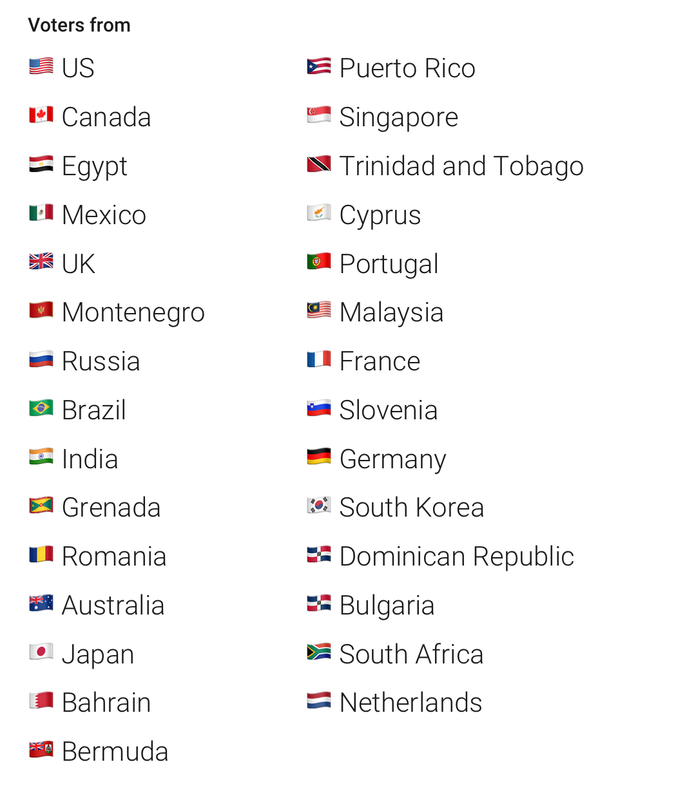 Just take a look at a few of the different opinions online. Rachel is adamant about not using the word to describe her son; Amir calls for everyone to drop the D-word; Danica finds it more efficient and convenient to use. The opinions are all across the board! Hot topic? 🔥 You bet. Which is why we turned to you. In one of our recent One Drop Newsfeed polls, we asked YOU how you felt about the topic. And we got some very different and awesome perspectives. 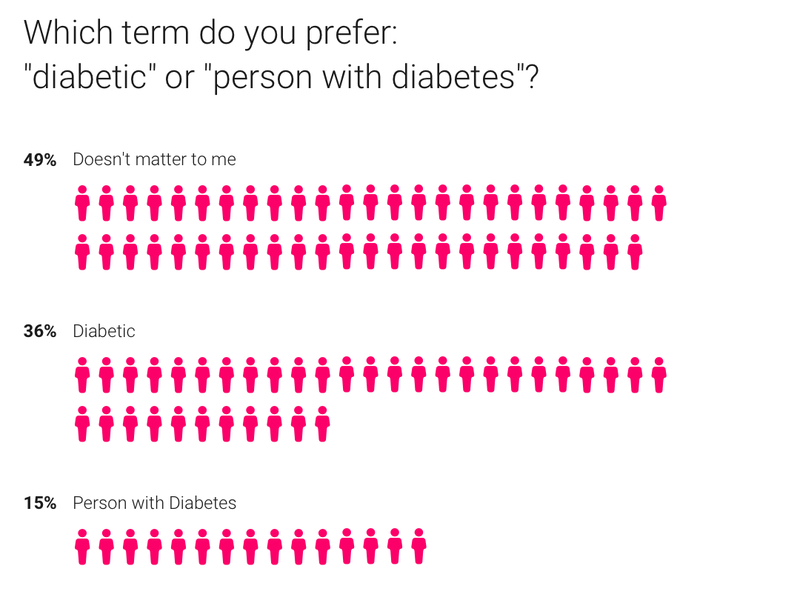 Which term do you prefer: "diabetic" or "person with diabetes"? "I’ve been a diabetic for 7 years now and until this poll, I never even knew this was a problem. I always say 'diabetic.' Looks like I might have to adjust my wording." "Either one is fine with me. Everyone I know with diabetes uses the term 'diabetic,' including myself." "I prefer 'person with diabetes.' It is my goal to minimize as many of my symptoms... My goal is to get my BG to a level where I don't need insulin shots ever again, which is doable according to all my MD's. I don't care for the label." "It does not matter either way. People, in general, need to understand the term 'Diabetes.' It is something I have to live with and hopefully get my BG where it needs to be to live a happy and healthy life." "I prefer 'none of your business' because, once people find out you have it, everyone is an expert and knows what you should do." "I have heard that the disease should not define the person, therefore I prefer a 'person with diabetes.' I may be wrong, but I feel there are very few diseases other than diabetes where the disease defines the person." "Diabetes is a part of who I am. It’s part of what has made me strong and self-reliant. Calling me diabetic doesn’t offend me. No need to waste more breath or use more syllables by adding two more words to the description. 'Diabetic' is fine." "Quicker to say. It is what it is. I would like to just deal head-on with it." "I believe that it should be 'person with diabetes' because diabetes does not define who a person is." "I generally say 'I'm diabetic' but not fussed over how people refer to it with me. I've just finished cancer treatment but never said I was 'cancerous,' I say that I am in treatment for cancer. Perhaps it's a mental state, I don't want to 'own' cancer so I say I am treating it, while I don't have an issue 'owning' diabetes any more than I do allergies." We are in this, together.